(CNS): The British monarch’s annual broadcast to the Commonwealth on Christmas Day focused on reconciliation. 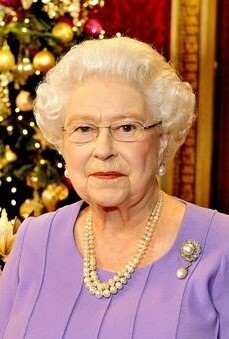 Although talking mostly about holding the UK together, following the Scottish referendum on independence, in her message Queen Elizabeth II spoke of the first Christmas of the First World War where “without any instruction or command, the shooting stopped and German and British soldiers met in No Man's Land,” and the possibility of reconciliation, even at the worst of times. “Sometimes it seems that reconciliation stands little chance in the face of war and discord,” she said. “But, as the Christmastruce a century ago reminds us, peace and goodwill have lasting power in the hearts of men and women." I am just sorry that I am not God. For all that He has done for us in His own magnificent way, how can one say or imply that there is no God? It is God Himself who spares us even when we denies Him. Go now and pray and ask for forgiveness and may the Lord bless you, because if I were God you would be zero. Tell us what "He" has done for us, and just to help us non-believers to see our folly, give us some evidence to support the view "He" did those things. Ok kids, let's kiss and make up – after all, it is January 1. I am hereby owning my role in the unfortunate shenanigans below. What say we wish each other a happy and prosperous New Year – to loyal subjects, republicans, believers and athiests alike? Thank you your Majesty, we sure can use a lot of Reconcilation here in Cayman for 2015. The fact that our Lord Jesus Christ and All that he has done for you for You " to seek respect and value in all people of whatever Faith or none and that He has been an Inspiration and anchor for you " teaches us to reflect on the gift of Forgiveness and I am certain that both the person who ask for forgiveness and those who Forgive the ones asking shall be better off for it. God Bless, your Majesty and the Royal Family during this special Christmas and we Wish you good health for 2015. The Lemay Family from our Beloved Cayman Islands. 48 hours from the year 2015 and so many people still giving relevancy to a "queen". Anyway, Cayman has stingray city and the UK has the royal family … something's gotta attract that tourism money, right? 48 hours from the year 2015 and so many people still giving relevancy to a "god"
You are in the small minority who have the tremendous faith to believe that there is no God or that he has no relevance. He is timeless so it matters not whether it is 2015 or 2515. Friend, God is indeed timeless, but I sure do know He is no earthly Queen in human flesh! Even she is subject to error, corruption, and human frailty, and is in need a Savior, and I sure hope to God she knows who her Savior is. I know this might surprise you but the UK is not the world or even a representative portion of it. My comment is very well founded. Nevertheless, the scariest bit for me is when people refer to royalty and "God" interchangeably or within close proximity. E.g. "God bless, or God save the queen!" Like … really? We just recently took out the Bin Laden family via a skilled military exercise and not a western soul gave a second thought to "God's grace" in the process. However, many of us still revere the modern British sovereignty as if she does not represent what is arguably the most brutal and grotesque legacy of global terrorism in the history of mankind. To each his own though. I tend to stick with simple truth and common sense. we live amongst many blind people. Its good when someone can call a spade a spade. The reality of it all is, many people would rather life filled in ignorance, than accept the truth. At the French and Russians showed us what to do with a royal family. 2015 now and you are advocating murdering the Royal Family? Nice one. It's probably better to be quiet until you actually find out. Will you be quiet about "God" in the meantime? I didn't think so. You missed the point. He will speak for Himself when He is good and ready. I clude yourself there too. The Royal Family is reckoned to benefit the UK tourism industry to the tune of £500 million a year. They also make a significant contribution to the efforts of British industry both in the UK and abroad. Only a complete doofus would compare that to the over-priced, over-crowded, over-rated, long past it's sell by date so-called 'attraction' at Stingray City. Imagine an online poll which asked respondents; "Would you prefer to visit Buckingham Palace, England or Stingray City, Cayman Islands?" – which do you think would come out on top? In the UK, we would prefer to visit Cayman!!! £500m is nothing compared to the harm of maintaining prejudicial elitism in a modern society. The taxes dodged on the Queen Mother's estate probably would have been as much. The relative contribution of Sting Ray City to Cayman's economy is a great deal more than the Royal Family to the British economy, Dufus. "smmh"? Shakes my massive head?